Poetry has its own set of literary aficionados, who like to delve into eloquent verses, meaningful poesies and serious balladry. Poems also form an emotional connect with the reader’s heart, due to their lucid and graphic expressiveness. It becomes all the more better if they talk about weighty and relevant issues, and help to make people aware about contemporaneous matters. Abhishek Goswami comes up with one such poetry book “The lonely Drummer and other poems” which covers a wide spectrum of themes and emotions for the poetry lovers to revel in. This book has 35 poems that take the readers on a delighting ride coursing through various human emotions and feelings, and also tickle their imagination and curiosity levels. 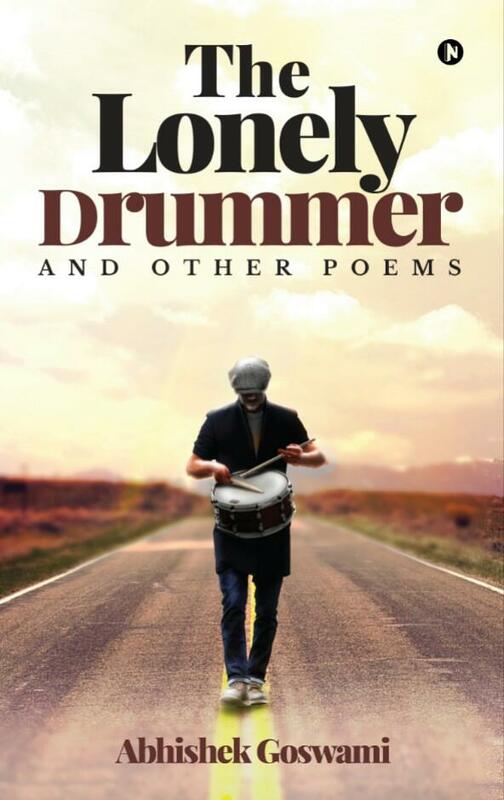 The poem “The Lonely Drummer” talks about the agony and dejection of a performing artist, who has been ignored by the young crowd who consider him as a misfit and don’t come for his shows. The poem ends on a note of despair, with the drummer lost in his dreary dreams and the humdrums of life. However, another poem “Why Me?” begins on a gloomy note but ends with the person talking about hope, fresh green leaves, picturesque mountain slopes and new beginnings. There are poems which are short like “Sydney’s Destiny”, and also a poem in five parts “The Blue Book”. It is of the suspense/ mystery genre and readers will certainly enjoy reading it, for all its enigma and oddities. The poem “Elementary...” is a tribute to the famous fictional detective Sherlock Holmes; and the verses in “The Ideal Candidate” and “The Runner” are based on Bengali poems. “Memoir of a Currency Note” deals with a first-person account of a currency note’s life journey; and “The Floating Messenger” details the airy and frivolous journey of a cloud that carries the message of hope. There are also some poems for the younger readers, for they can enjoy some lesser known facets about the solar system, history and scientific discoveries. Many poetic devices and rhyming schemes have been used in the poems to up their evocative quotient. There are poems where alliteration has been used, both in the title and their vivid lines (“Striking Storm” and “Butter Biscuit”) and also a poem having verses in the limerick form. The poet has also experimented with different styles of poetry- free verse, prosaic and explicitly lyrical- and this along with the wide gamut of topics being delved into has worked wonders for this poetry collection. This is a book which should be read for its vivid poems with varying literary styles, which take an even wider coterie of themes under their ambit. The poetry enthusiasts will surely love this collection, for it brings out many insights about the different and variously hued aspects of life, and they’ll also love the inspiration that these lucid poesies emanate.